1. Special aluminum alloy body, better to know the working status of magazines. 2. Solid cast lift design improving the stability. To ensure smooth working line. 4. Humane programming, 4 PITCH chooses, can set the step of receiving/sending PCBs. 5. 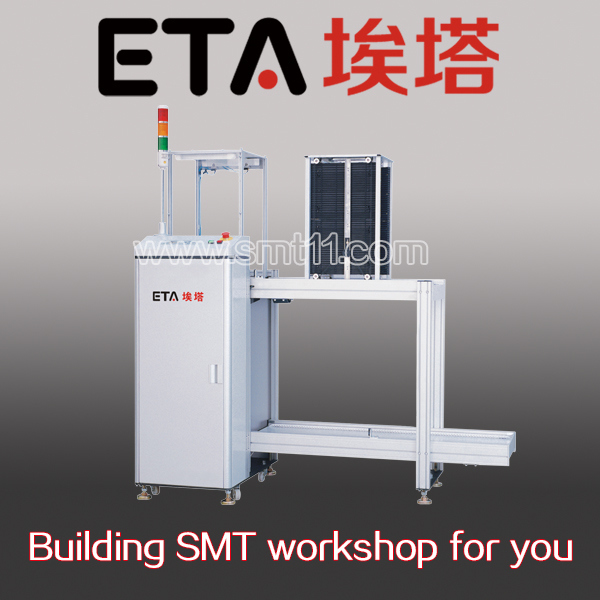 Standard SMEMA interface, can be connected with other automation equipments. 6. Using engineering plastic flat strip for magazine's transmission. 7. PCB transmission speed adjustable. 8. Three-point positioning, up-down pneumatic clamping to ensure accurate location of magazines. 9. Pushing protection system ensures the PCB will not be damaged.